The Dead Space 3 microtransaction price list also reveals that the game will make use of an Online Pass that will cost pre-owned buyers an extra ten bucks. Electronic Arts revealed last week, to much wailing and gnashing of teeth, that Dead Space 3 will offer optional microtransactions, allowing players with more money than time to get all the goodies without all the dicking around. But how much will a "Bot Pesonality Pack" cost? Or a "Witness the Truth Pack?" Or just a simple, straightforward resource pack? Thanks to the latest PlayStation Store update, now we know. 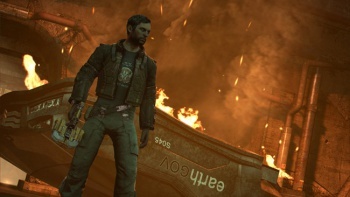 In a recent blog post, Dead Space 3 Executive Producer Steve Papoutsis described the resource packs as a "convenience" for players looking for an immediate boost. "DS3 isn't designed to require Resource Packs, but they're an option that's available should you decide to use it," he wrote. "The choice is yours." The price list also reveals that EA is continuing its practice of requiring online passes for second-hand copies of the game. So what do you think: fair prices for optional "conveniences," or another unscrupulous cash grab by the Evil Empire? Like it or not, Dead Space 3 comes out on February 5 for the Xbox 360, PlayStation 3 and PC.